With Summit Fleet's MasterCard, drivers can access the largest vendor network in Canada and United States. Accepted by any MasterCard-approved vendors, making fuel and maintenance purchases has never been so convenient. Our MasterCard's flexibility allows us to customize the program to each client's requirements. 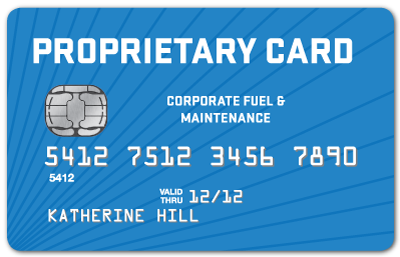 Clients can set cards as Fuel Only, Maintenance Only, or Fuel and Maintenance. 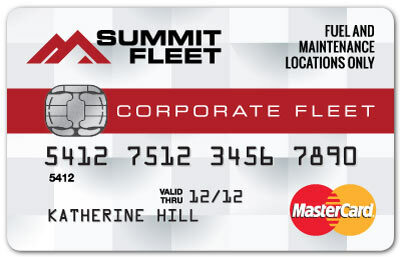 Clients can restrict the Card to fuel only, maintenance only, or fuel and maintenance. Transaction level limits can be imposed to fully manage your driver's purchases. Get real-time notifications on transactions and suspicious activity as well as exception reporting. Through eliminating vendor up-charging, independent vendor fees, and vendor dissatisfaction with payment terms, Summit Fleet provides clients with a flexible, low-cost, secure, convenient solution for fuel and maintenance management.